A major cyberattack on Singapore’s government health database stole the personal information of about 1.5 million people, including Prime Minister Lee Hsien Loong, the government said on Friday. The “deliberate, targeted and well-planned,” attack aimed at patients who visited clinics between May 2015 and July 4 this year, the Health Ministry said in a statement. “It was not the work of casual hackers or criminal gangs,” the ministry said, adding that the attackers targeted details about Lee and the medicines he received. 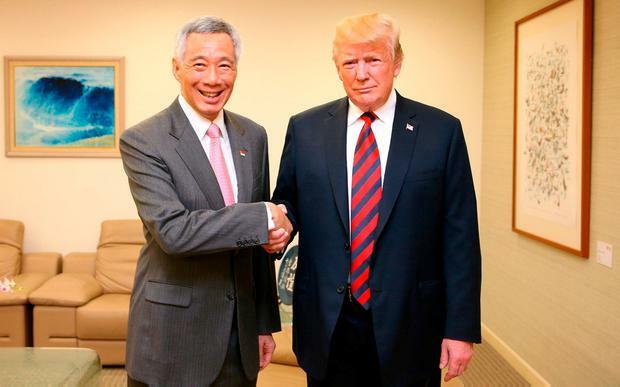 “The attackers specifically and repeatedly targeted Prime Minister Lee Hsien Loong’s personal particulars and information on his outpatient dispensed medicines,” it said. Garmin Vivoactive 3: Is this the perfect tracker for the all-rounder on the go? Margaret Donnelly I love a good sports watch and this Garmin, which comes in at the lower end of its pricing scale, is the ideal watch for someone looking for basic sporting analysis.